Sigrid Ellis is a woman of many talents. She is not only an editor with some impressive credits to her name (she co–edited the Hugo–nominated Chicks Dig Comics with Lynne M. Thomas, and co–edited Queers Dig Time Lords with Michael Damian Thomas, and the comic Pretty Deadly), but also an author of fiction and non–fiction, an air traffic controller, a blogger, and a home–schooling mom to boot. To say she’s got a knack for juggling many projects at a time is the understatement of the year. 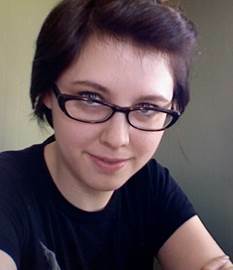 To get to know her a little better, and to give our readers a little insight into the upcoming year at Apex, Ms. Ellis and I took a few minutes to talk about her goals, hopes, fears, comics, and time–travel. APEX MAGAZINE: What are some of your goals for Apex in the coming years? Any teasers you can share? SIGRID ELLIS: My goals for Apex are straightforward. I want to continue presenting high–quality, award–winning new short fiction to readers. I want to find ways to get more readers for Apex, to extend the reach of the magazine. You can therefore expect to find a mix of contributors — new authors completely unknown, popular essayists, writers better–known for their comics or television work, writers better–known for other genres. AM: What are you most looking forward to and what (if anything!) makes you nervous about taking the helm of Apex Magazine? SE: Heh. I’m looking forward to helping shape the experience readers have of genre fiction. I am a genre reader from way, way back. I remember all those anthologies, the collections and best–ofs. I remember how utterly mind–blowing they were to kid–me. And now I have been given a chance to be the influence, to open eyes and doors and minds. Similarly, I have a chance to bring new writers forward. To start talented folks on a path towards an authorial career, if that’s what they want. As for what makes me nervous, well, all of it. This is new to me. I will make mistakes, and I hate making mistakes. But we will cope with those as we reach them. 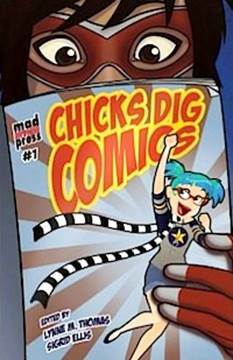 AM: You’ve done a lot of editing before, including Chicks Dig Comics and Queers Dig Time Lords, among others. What is your personal philosophy, as an editor, when approaching the compilation of short fiction into a cohesive whole? SE: Diversity of theme and tone, representation of the world. I want fiction that is optimistic and depressing, light and heavy, fiction that is in different points of view, fiction in different verb tenses, different structures of fiction. I want a variety of readers, which means a variety of fiction. I also insist on increasing representation of the world in genre fiction. Simply put, if most genre fiction is written by straight white dudes featuring straight white dudes about the difficulties of being a straight white dude, the rest of the world is not being represented. Apex Magazine will work diligently to give readers more authors and characters who are not straight white dudes. AM: You also edit the fabulous comic Pretty Deadly (samples of which can be found here: http://prettydeadlycomic.tumblr.com/). What’s it like editing a comic, and what does that entail? Any plans for including graphic short stories in Apex? SE: I can’t say what it’s like to edit comics, just what it’s like to edit this particular one. Our publisher, Image Comics, gives all the creative teams room and space to create. This is either fantastic, or it’s just enough rope to hang oneself. 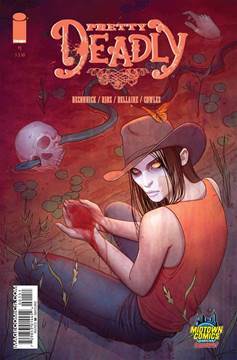 The creators of Pretty Deadly, Kelly Sue DeConnick and Emma Rios, with Jordie Bellaire and Clayton Cowles, are largely self–operating. I set up schedules and give them deadlines, I remind them of the marks they need to hit to give the content to Image, and they do all the creative work. When the pages start rolling in, I check that the text matches the lettering script, that the colors match the notes, but so do all of us involved. With this team, I am an extra set of eyes, a helping hand when needed, a reminder system, a cheerleader, and an eager first reader. The creators do the heavy lifting. AM: Moving into 2014, are there any particular kinds of things you’re hoping to see come through the slush pile to your desk? Anything you’re really, really, really hoping not to see? SE: Oh, this is a dangerous question! I am afraid to answer, because I don’t want it read as a Secret Formula For Success. There is no such thing. When you are writing your story, have sympathy for all your characters. All of them. All of your characters have to have comprehensible motivations. Mysterious, sure, but the sort of thing you can imagine your neighbor contemplating. If you find yourself writing a moment, and you have a character do something terrible, ask yourself why they are doing that thing. I’m not talking about your protagonist, I’m talking about the side characters and villains. Why? Why are they thwarting your lead? I mention this because, as a magazine accepting horror, Apex sees a lot of stories in which the antagonist is horrible for no discernible reason, save that the protagonist needs an excuse to fight or kill said villain. That will not fly. Be better than that. Write better than that. Be a more thoughtful, complicated, empathetic, insightful human being than that. AM: You’re also a history buff, so a fun question! If you possessed a way to travel through time and safely observe any single event in history, what would be your top three choices? A day in the court of Mandukhai Sechen Khatun, Queen of the Mongols. Finding out what really happened to Percy Fawcett, lost in the Amazon looking for the City of Z. A day riding with Eleanor of Aquitaine on Crusade. Um. Those are my answers right now, today. AM: Anything else you’d like to share with Apex readers? SE: I think we will all find out together whether I have things to share with Apex readers. I hope I do! If you all, Gentle Readers, have things you want to tell me, please email. Feedback is important and valued. AM: Thank you so much, Ms. Ellis, for taking the time to introduce yourself to us all. I know everyone here at Apex Magazine is thrilled to see you take the reigns, and we’re all looking forward to what this next year will bring. Yay, welcome, this is so exciting!